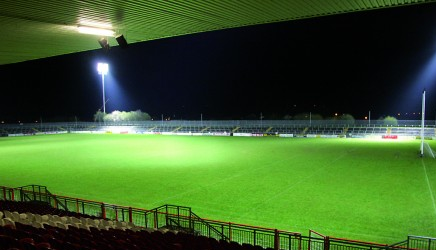 Our Field of Dreams…Healy Park is primed and ready to welcome 18,000 Tyrone and Down supporters this Sunday. Congratulations and a big thank you to the dedicated team of volunteers who have spent many hours over the past two weeks helping to get Healy Park into pristine condition for Sunday’s big Ulster Championship game between Tyrone and Down. 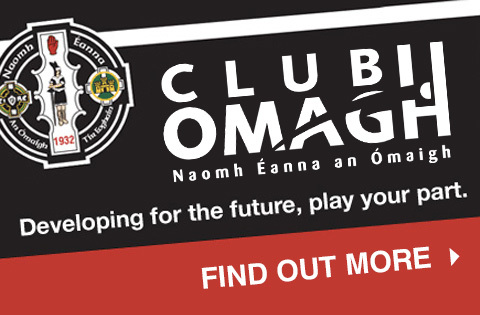 With the pitch in great condition, seats polished and all facilities in great shape, Omagh St. Enda’s is looking forwarding to welcoming the anticipated 18,000 crowd for the game. Good luck to all the St. Enda’s players on the minor and senior panels and, once again, a big thank you to the team of workers led by Chairman John McElholm, Secretary Paul Breen and Treasurer Paul Meldrum, who virtually camped at the grounds all week to get things ready. All club members who will be working at the venue on Sunday must report for duty by 11.30am sharp.